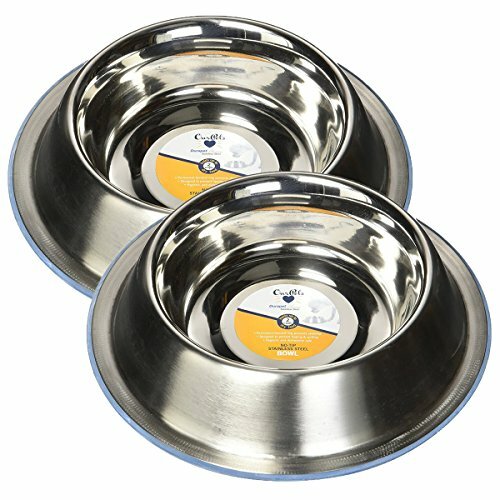 OurPets DuraPet Premium No-Tip Stainless Steel Pet Bowls, Small (2 Pack) by Our Pets at People For Pets. Hurry! Limited time offer. Offer valid only while supplies last. OurPet`s Durapet Non-Tip Bowls are heavyweight stainless steel and feature a bonded rubber ring on the bottom that will not tear, break or come off. PetRageous 15011 Martinique Diner 2 quarts, 17" x 8.5" x 5.25"